We love to snack. Cause, really there’s no way we are going to make it from lunch to dinner without a nibble (or two). And you shouldn’t either, especially since you should be feeding your body with healthy and wholesome foods throughout the day to sustain your blood sugar levels so that you don’t devour the bread basket the section that it hits the table. One of our favorite healthy snacks is the simple homemade Coconut and Peanut Butter Bites. 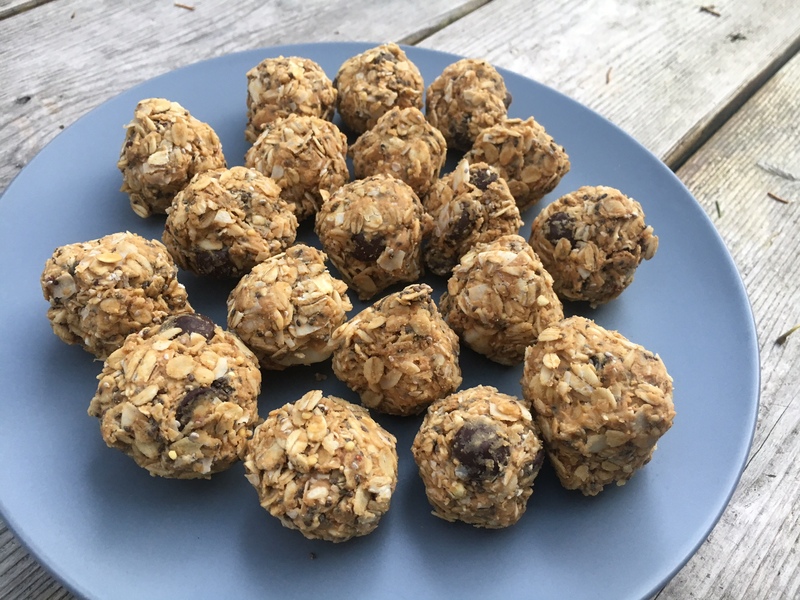 We love this snack for many reasons, but the main part is that it is a no bake treat that’s packed with protein and low in sugar! They’re also uber portable and fills us up when we need the energy the most. Read on to check out our recipe for the ever delicious Coconut and Peanut Butter Snack Bites! Happy snacking! 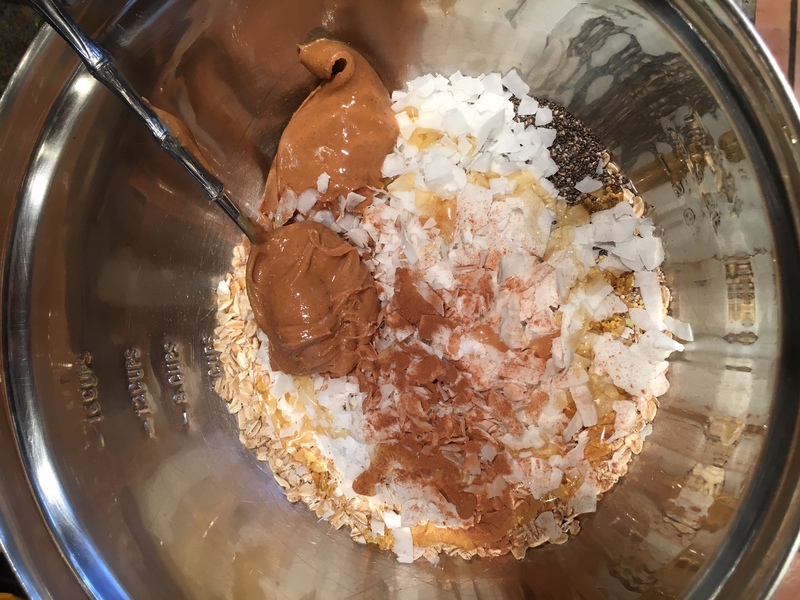 Mix all the oatmeal, coconut flakes, coconut oil and peanut butter into a large bowl. Stir everything together. Add in the chia and flax seeds and mix. Add in the honey, vanilla, cinnamon and chips and continue to mix together. Once together, cool in the fridge for 5-7 hours. This allows the blend to mold together. Then, use your hands to create mini bites (makes around 20) and chill again. They’ll be ready to be devoured the next day! Enjoy.